The FAN Productions is an effort of the National Aviation Safety Foundation and a coalition of local, regional, and national aviation organizations and agencies. We broadcast via satellite over the Florida Aviaton Network "In the Clear", internet, and radio. Past programs may be viewed on studio site. Location: USA & throughtout the world. What's it like to be a volunteer. This videio shows what it was like at the FAA Production Studios in Lakeland, Florida. It is a great video for volunteers throughout the world. 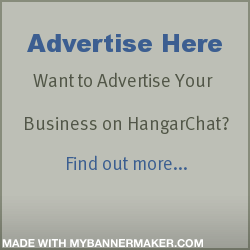 You need to be a member of Florida Aviation Network to add comments! The Florida Aviation Network broadcast at the Sebring EXPO on Jan 25 -27 from the terminal building. We introduced some new equipment and new members to our crew. In this segment host Ron Timmermans interview Jamie Beckett about various events and programs that the AOPA is involved with in Florida. The Florida Aviation Network broadcast at the Sebring EXPO on Jan 25 -27 from the terminal building. We introduced some new equipment and new members to our crew. In this segment host Ben Coleman interviews Steve McCaughey with the Seaplane Pilots Association . The Florida Aviation Network broadcast at the Sebring EXPO on Jan 25 -27 from the terminal building. We introduced some new equipment and new members to our crew. In this segment host Ron Timmermans talks with Phil Lockwood , the president of Lockwood Aviation at Sebring. The Florida Aviation Network broadcast at the Sebring EXPO on Jan 25 -27 from the terminal building. We introduced some new equipment and new members to our crew. In this segment host Ben Coleman talks with John Zapp with the Flying Musicians.about the event and how music and flying work together. The Florida Aviation Network broadcast at the Sebring EXPO on Jan 25 -27 and have a lot of fun . We introduced some new equipment and new members to our crew. In this segment host Ben Coleman talks with co host Ron Timmermans about the event. The Florida Aviation Network broadcast at the Sebring EXPO on Jan 25 -27 and have a lot of fun . We introduced some new equipment and new members to our crew. In this segment host Ron Timmermans talks with Crew member Bill McClung about the event. During the 2018 SUN 'n FUN and Expo The Florida Aviation Network was broadcasting from the Florida Air Museum . FAN Host John McLeroy and Mackenzie Barber interview John Leenhouse, President of SUN 'n FUN for a look at the weeks events during the annual convention. During the 2018 SUN 'n FUN and Expo The Florida Aviation Network was broadcasting from the Florida Air Museum . FAN Host John McLeroy interviewed Dr Busch and FAA DME with Stallion 51. During the 2018 SUN 'n FUN and Expo The Florida Aviation Network was broadcasting from the Florida Air Museum . FAN Host Ben Coleman interviewed James Scheller with with GarneTread a new tire that could have a tremendous impact on aviation safety. During the 2018 SUN 'n FUN and Expo The Florida Aviation Network was broadcasting from the Florida Air Museum . FAN Host Mackenzie Barber interviewed the second group of STRATOS winners.